Ubisoft Quebec welcomes a new member to their team, the former boss of Bioware’s Dragon Age series Mike Laidlaw. Ubisoft Quebec well known for the their Assassin’s Creed series with the latest edition Assassin’s Creed Odyssey and their previous Assassin’s Creed Syndicate which was set in London. 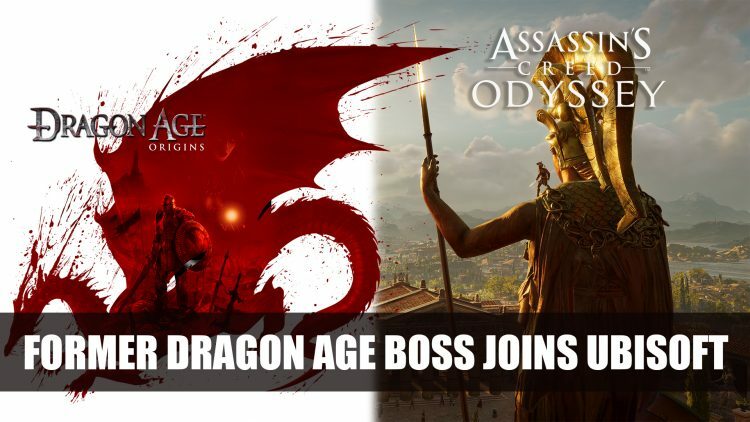 This move a little surprising but might be a good fit, as Assassin’s took on a more RPG shape with Odyssey this year, the Bioware boss has a decade of experience with the RPG genre with the Dragon Age franchise, Mass Effect and more. Before this, Laidlaw was the lead writer for another Bioware game, Jade Empire. Ubisoft Quebec has also announced that it will create 200 new jobs and a second site in the city meaning there could be a new project on the horizon. In the past, Assassin’s Creed games have been back and forth between the two studios Montreal and Quebec, Laidlaw could be working on the next Assassin’s Creed. But Ubisoft have already announced that they won’t be releasing another Assassin’s Creed until after 2019. To read more recent about Dragon Age find it here in Rumour: Bioware To Unveil New Dragon Age At Game Awards 2018 and Bioware Hints At Dragon Age News Coming In December. For a rundown of the latest news read it here Top RPG News Of The Week: December 2nd (Dragon Age, Obsidian, Cyberpunk 2077 And More). So he’s moved from creating a PC fictional universe to a studio that open rewrites actual history to make it politically correct?